Countless philosophers and theologians throughout history have postulated arguments in favor of a divine being. There are four kinds of classical arguments that have attempted to establish the existence of God: the cosmological argument, the teleological argument, the ontological argument, and the moral argument. The origins of the cosmological and teleological arguments can be traced to the ancient world, the ontological argument dates to the medieval time period, but the moral argument is a relative newcomer as it has modern ancestry. Although the moral argument emerged onto the philosophical scene largely through the writings of Immanuel Kant (1724-1804) in the eighteenth century, it was C. S. Lewis (1898-1963) who popularized the argument more than anyone else in the past two centuries. Lewis’s moral argument is detailed primarily in Book 1 of Mere Christianity; however, portions of Lewis’s moral argument are found in his other writings as well. Therefore, this essay will pull from a broad Lewisian corpus in an attempt to present a more robust picture of his moral argument, which begins with reasons for believing in the existence of objective morality, continues with mankind’s inability to adhere to such a moral standard, and concludes with the necessity of a divine being (of a particular sort) in order to account for these realities. Throughout The Abolition of Man, Lewis constructs a case for the existence of objective values such as love, justice, and courage. Lewis states that there are three possible responses for one to consider regarding objective values: 1) reject their existence; 2) replace them; or 3) accept them. One, if objective values are rejected, then all values must be rejected. If values are subjective, then values as a whole become a matter of preference. Furthermore, if objective values are rejected, then rules/laws are no longer possible or binding upon humans because every rule/law has a value behind it. Next, to attempt to refute a value system and replace it with a new one is self-contradictory. According to Lewis, “There has never been, and never will be, a radically new judgement of value in the history of the world.” Furthermore, to attempt to replace a value system with another one is to assume that there is something awry with the present system, which can only be realized if an objective standard of judgment exists in the first place. This leaves one viable option: accept the reality of objective moral values. 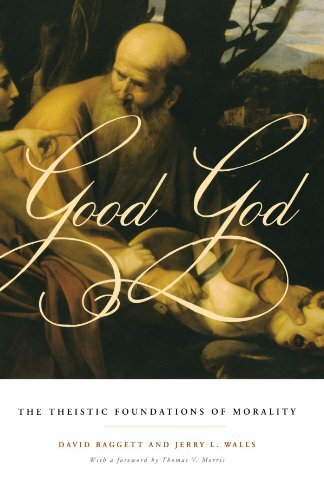 According to Lewis, talk of moral improvement is nonsensical if there is no “absolute standard of good” that exists. If no such standard existed, one might change his morality, but he could never improve his morality. 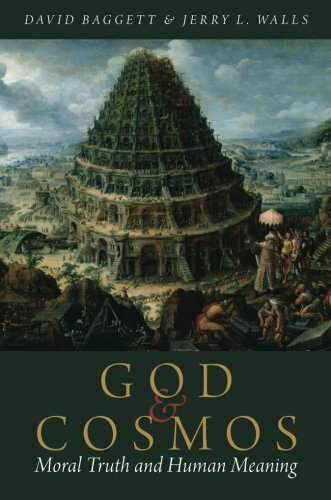 In Miracles, before actually discussing the possibility of miraculous events, Lewis argues for the existence of God by utilizing the moral argument and the argument from reason. There are times when these two arguments overlap. For example, “Besides reasoning about matters of fact, men also make moral judgements – ‘I ought to do this’ – ‘I ought not do that’ – ‘This is good’ – ‘That is evil.’” When men reason over moral issues, it is assumed that there is an objective standard of right and wrong. If there is no such standard, then moral reasoning is on the same level as one arguing with his friends about the best flavor of ice cream at the local parlor (“I prefer this” and “I don’t prefer that”). Simply stated, if there is no objective moral law, then everything becomes a matter of preference. In sum, Lewis provides at least eight reasons for believing in the existence of objective morality. One, when two or more individuals quarrel, it is assumed that an objective standard of right and wrong exists. Two, mankind has generally agreed throughout history that an objective standard of decent behavior is obvious to all people. Three, mistreatment reveals what one really believes about morality. An individual might deny the existence of an objective standard, but as soon as he is mistreated, he will respond as if such a standard exists (“That’s not fair!”). Four, when a person makes an excuse for a mistake on his part, he essentially provides a sufficient reason (in his mind) for breaking an objective standard of behavior. Five, if objective moral values (such as love, compassion, etc.) are rejected, then all values must be rejected. If this happens, then values become a matter of preference. Additionally, if an individual attempts to replace one value system with another, he must assume that an objective standard of judgment exists to help him determine that one value system is superior to another. Six, an objective moral standard must exist in order to foster the possibility of moral improvement. Seven, when individuals reason over moral issues, the existence of objective morality is assumed. Eight, the words “ought” and “ought not” imply that an objective standard of behavior exists that mankind is obligated to follow. The cosmological argument can be traced to Plato and Aristotle. Although traces of the teleological argument appeared in the writings of Socrates (Xenophon’s Memorabilia 1.4.4ff), Plato (Phaedo), and Philo (Works of Philo 3.182, 183.33), it came to fruition later in the middle ages (the last of Aquinas’ “Five Ways”) and modern world (Paley’s Natural Theology). The ontological argument was first formed by Anselm in the medieval time period, although he was not responsible for naming it. Implicit fragments of the moral argument can be found in Plato, Augustine, and Aquinas, but its emergence onto the philosophical scene did not take place until Kant utilized it in the eighteenth century. To be fair, there are numerous “heavy hitters” in the field of moral apologetics between Kant and Lewis, such as: John Henry Newman (1801-1890), Henry Sidgwick (1838-1900), William Sorley (1855-1935), Hastings Rashdall (1858-1935), Clement Webb (1865-1954), and A. E. Taylor (1869-1945). Lewis “popularized” the moral argument, in the sense that he made it appealing to a wider audience, but he would not have been able to do so without these men who came before him. Lewis’s argument is not a strict, deductive proof for God’s existence. Rather, Lewis provides an argument that is rationally persuasive in the sense that the existence of a divine being (of a particular sort) is the best explanation for the available evidence. See David Baggett, “Pro: The Moral Argument is Convincing,” in C. S. Lewis’s Christian Apologetics: Pro and Con, ed. Gregory Bassham (Leiden: Brill Rodopi, 2015), 121. Ibid., 5. In the appendix section of The Abolition of Man, Lewis provides a list that illustrates the points of agreement amongst various civilizations throughout history. See C. S. Lewis, The Abolition of Man (New York, NY: HarperCollins, 2001), 83-101. Values are the “why” behind rules/laws, whereas rules/laws are the “what.” For example, there are laws against murder because human life is intrinsically valuable. Lewis expounds upon this in Mere Christianity when he suggests the following: “If no set of moral ideas were truer or better than any other, there would be no sense in preferring civilized morality to savage morality, or Christian morality to Nazi morality. In fact, of course, we all do believe that some moralities are better than others...The moment you say that one set of moral ideas can be better than another, you are, in fact, measuring them both by a standard, saying that one of them conforms to that standard more nearly than the other. But the standard that measures two things is something different from either. You are, in fact, comparing them both with some Real Morality [sic], admitting that there is such a thing as a real Right [sic], independent of what people think, and that some people’s ideas get nearer to that Right [sic] than others.” Lewis, Mere Christianity, 13. He does this because if God exists, then miracles are at least possible. In his words, “Human Reason and Morality have been mentioned not as instances of Miracle (at least, not of the kind of Miracle you wanted to hear about) but as proofs of the Supernatural: not in order to show that Nature ever is invaded but that there is a possible invader.” C. S. Lewis, Miracles (New York, NY: HarperCollins, 2001), 68. Naturalism largely fails to account for this. Lewis explains: “If we are to continue to make moral judgements (and whatever we say we shall in fact continue) then we must believe that the conscience of man is not a product of Nature. It can be valid only if it is an offshoot of some absolute moral wisdom, a moral wisdom which exists absolutely ‘on its own’ and is not a product of non-moral, non-rational Nature.” Lewis, Miracles, 60. C. S. Lewis, The Problem of Pain (New York, NY: HarperCollins, 2001), 5. Lewis, “Evil and God,” in God in the Dock, 3-4. Lewis, The Problem of Pain, 10.